I love the way that you said it, “For me to admit my weakness is to acknowledge I can do ALL things through Christ Jesus.” It’s really a paradoxical truth, isn’t it? Christine. You are and have always been such a strong, unique and very special person. It’s so good to hear from you! So much truth here… we are taught to be strong and the take care of ourselves but admitting we are weak and unable to do most things on our own allows us to turn to God, to rely on him and to wait for him to move in our lives. Thanks for sharing! Thanks for sharing this…it is such truth! We are taught that taking care of ourselves is the strong thing to do…but it is much harder to recognize our areas of weakness and to depend on others – and especially on God. Praying for you in this struggle. Thank you, Alycia. Many times I am so weak and unable, and it’s at those times that I feel that it’s God and the prayers of His people that sustain me. I know the place you are living in right now. I was there before liver transplant – not only was my body failing me, but also my mind was failing. I could not remember names or learn how to do new things. Praise be to God, He has restored many of the things that I had lost. However, the lesson learned was that everything I am, all my abilities, my each and every breath belongs to God. Everything we are and have is His. 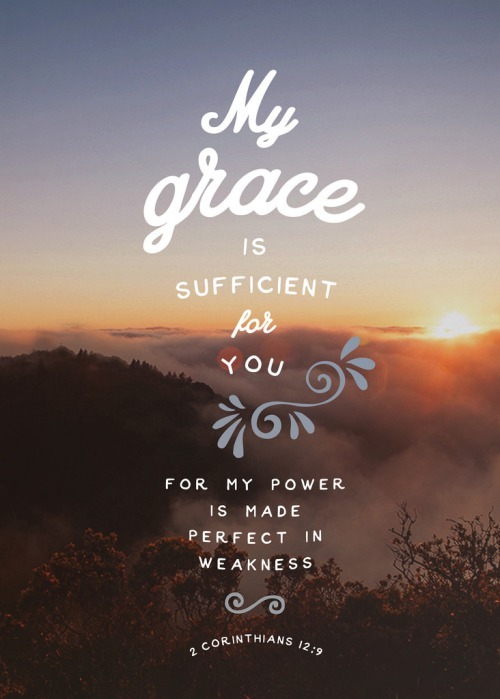 He uses our weaknesses to help us learn how to depend completely on Him. You are His and are a blessing to those of us who are fortunate enough to know you. Thanks Sandy. I am learning. Much love to you.